For 2019, we have voted to increase the Basic IWWG Membership Dues to $75 (from $55), starting March 1, 2019. Plus, we’re introducing a Student Member Dues rate of $45. If you’re a full-time student, you can join or renew at the NEW Student Rate! Want to save money now? Join or Renew before March 1, 2019 at the 2018 rates! Join or renew at the current annual rate of $55 before March 1, 2019. Commit to a 3-Year-Membership and lock in the $55 annual rate by renewing for three years for $165 before March 1, 2019—a $60 savings! All of these Member Benefits belong to you in 2019! A DISCOUNT on registration for our events, in-person and online. A DISCOUNT on registration for our enhanced summer-conference experience at Muhlenberg College, featuring 25 multi-genre writing workshops, salons, book fairs, dancing, and evening socializing in the Red Door Lounge. A DISCOUNT on submission fees for our literary contests. 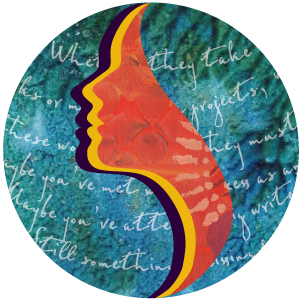 Your WRITER PROFILE featured in our upgraded online Member Directory, with your bio, contact info, and active links to your website, blog, and social-media platforms. (This feature is OPTIONAL, and you choose whether to make your profile public or private.) This marketing benefit allows other members and the public to find your profile at www.iwwg.org by searching by name or state, where they can read all about you as a writer, view your photo, and visit your website, blog, and social-media pages. ACCESS to two MEMBER FORUMS: (1) our Facebook group, IWWG Members’ Room, and (2) our Writer Share Forum, at www.iwwg.org, where you can engage with other members, share your writing successes, swap knowledge to support your writing life, post new writing for comments, and seek and offer tips, advice, submission opportunities, articles, and interviews. A jumpstart on new writing through our weekly TGIFreewrite Day writing prompts, plus a chance to post your responses to our members-only Writer Share Forum and members-only Facebook group, IWWG Members’ Room. 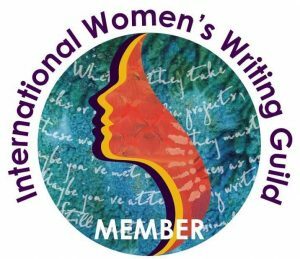 Opportunity to display our IWWG Member BADGE on your website. Opportunity to GATHER in local/regional IWWG writers’ groups. This program is being developed by our Board Vice President, Laura Kieley, and will launch in 2019. Dramatic ANNOUNCEMENTS of your book publications, complete with a full-color picture of the book cover, in Network. The opportunity to PITCH your book to agents, one-on-one, at our annual Spring Big Apple conference, in New York City, for a member-discounted registrant pitch fee. The opportunity to SELL your books at our conference book fairs at no extra charge when you are a registrant. A DISCOUNT on ads appearing in Network—a marketing opportunity launching in 2019. A FREE SEAT in our members-only Conversate online discussions sparked by a story or writing-related article or essay. A FREE SEAT in our members-only online book clubs and critique groups. A chance to READ your work to an international audience in our online All Voices Open Mic.